In this article we will focus on the desktop or laptop use of Coviu. 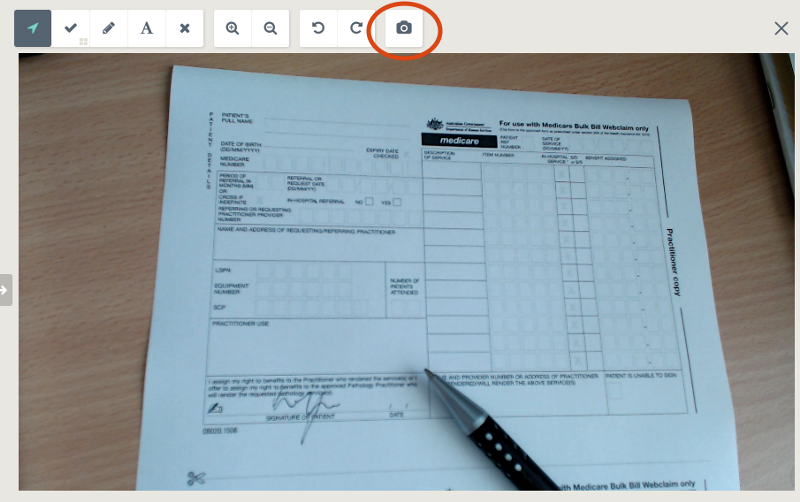 You can also use Coviu on a tablet or a phone from within a Web browser or app (on iOS you require an app). But your hardware will be fixed for you then, so let's discuss computer setup. A basic Coviu call works with standard Web video conferencing hardware such as a Webcam and computer speakers or headphones. Since we focus on the desktop or laptop use, the video and audio devices that are needed for a Coviu call either come built-in, or are USB or Bluetooth devices. We have found USB devices to work more immediately, since there is no need to go through a pairing process, but that’s just a personal preference — Bluetooth devices work just fine, too. All modern laptops come with a built-in video camera, microphone and speakers and are thus able to hold Coviu calls. Desktop machines — particularly work machines — may require addition of a Webcam and speakers. We recommend using a modern HD (high definition) Webcam such as the affordable and high quality Logitech C920, which comes with a built-in microphone. You can run Coviu on Windows, Mac OS X or Linux. We prefer a Google Chrome browser (49+) but Coviu also works in Firefox (50+). Try to use the latest production browser as it will support all features. 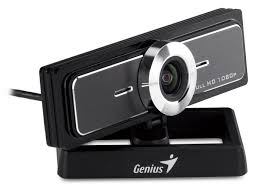 There are now other web cameras available with a wider field of view that may be more useful when trying to grab several people into a call: Logitech C930e with 90 degrees rather than 78; Genius Widecam F100 with 120 degrees. As for speakers, it’s best not to rely on built-in speakers of a desktop machine, because they usually sound metallic, don’t have a high frequency range and often a limited dynamic range. Any pair of external speakers — even the cheaper computer speakers — are a better choice. There’s no need to go beyond stereo, because most WebRTC calls only provide 2 audio channels. Alternatively to external speakers, headphones or a headset will work, too. These are likely less distracting to your colleagues in a busy work setting and give you more sound isolation in a noisy environment. Choose Bluetooth or a cabled headset at your preference. When using a headset, you will want to set your microphone input to the headset, too, since sound captured closer to your mouth will provide better audio quality to your peers. In a larger room setting, make sure to use a camera with a wider angle and a microphone that captures the sound of all participants equally. We’ve used the portable Logitech CC3000e conference set — an affordable all in one solution. 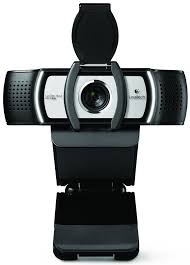 There’s now also the cheaper Logitech ConferenceCam Connect also with a 90 degree view but a different form factor. A particularly useful type of conference microphone are boundary microphones which use a large table surface to better capture sound, such as the MXL AC404 USB Conference Microphone. If you’re after a way to improve audio input and output in a meeting room setting, the round USB speakerphone from Jabra is really portable. The Jabra Speak 510 works via Bluetooth as well as USB, so you can even avoid ugly cables in your meeting room. These devices will be more than sufficient for your basic Coviu desktop or conference room calls. If you want to make use of some of the more powerful functionality of Coviu, consider what other hardware you are able to plug into a Coviu call. Medical note taking while on a Coviu call (the laptop drives both screens). 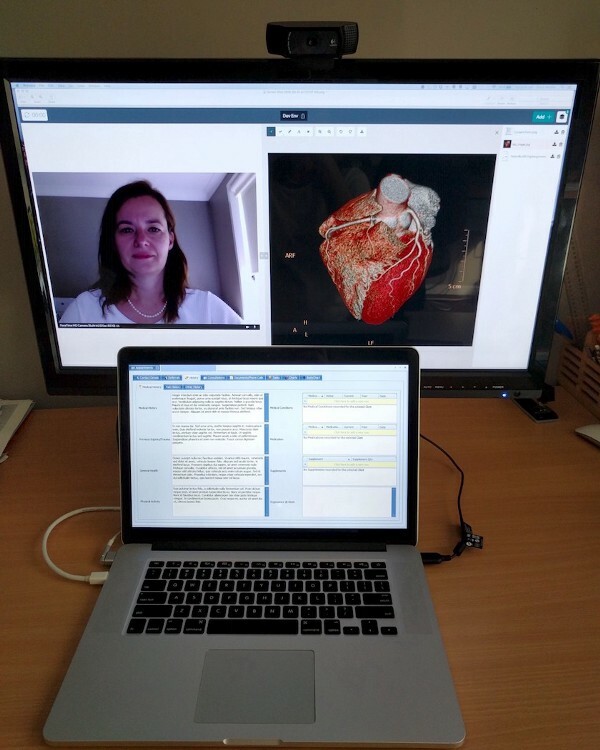 If you do a lot of video calls and do some really intensive cooperative remote work, we recommend adding a second screen to your computer. This allows you to continue working on private notes while Coviu is running on that second screen. Think of it as one screen being your private workspace and the second one the shared workspace. You might want to share paper documents with your peers, particularly when brainstorming on paper, or digitising notes, or filling in and signing a form. 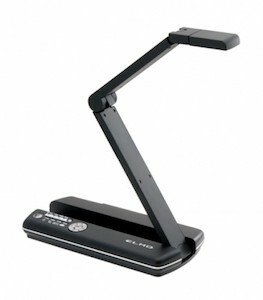 An affordable document camera is the IPEVO Point 2 View USB Document Camera, which provides a HD image. In darker spaces, you will want to switch to a document camera with its own lighting, such as the VZ-1 HD. 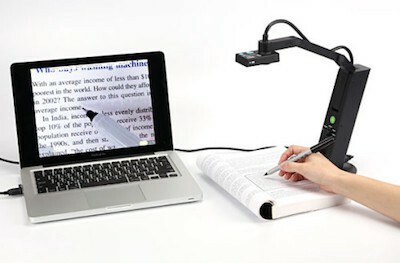 The most portable document camera in our experience is the ELMO MO-1 — it folds completely flat. In Coviu, you will share the camera via the “Add” button and the “Share camera” feature. Once the camera is displayed, you can capture an image via the snapshot feature. If you are a health professional, you might find that some medical devices are actually just USB video cameras and can be used in Coviu without further change. Plug your camera into your computer via the USB port. Then use the “Add” button and select the “Share camera” feature to bring the medical device video into your conversation. You will need a Coviu Professional/Team account to activate this feature. It is really simple to get started with Coviu — just set yourself up with a computer that has a camera, a microphone and speakers. Don’t hesitate to experiment with other video and audio devices — you might be surprised how much will just work and how powerful the features of Coviu are when working with shared devices. If you’ve managed to set up something special, don’t hesitate to leave a comment below — we’re always keen to find out the awesome things our users do with Coviu. If a device doesn’t work for you in Coviu, contact us and we’ll see what we can do for you.